Cotton tea towel depicting great British cheeses and a recipe for cheese & onion pie. A smooth‚ milk chocolate‚ perfect for a late night treat. A beautifully handcrafted gift‚ perfect for any occasion. 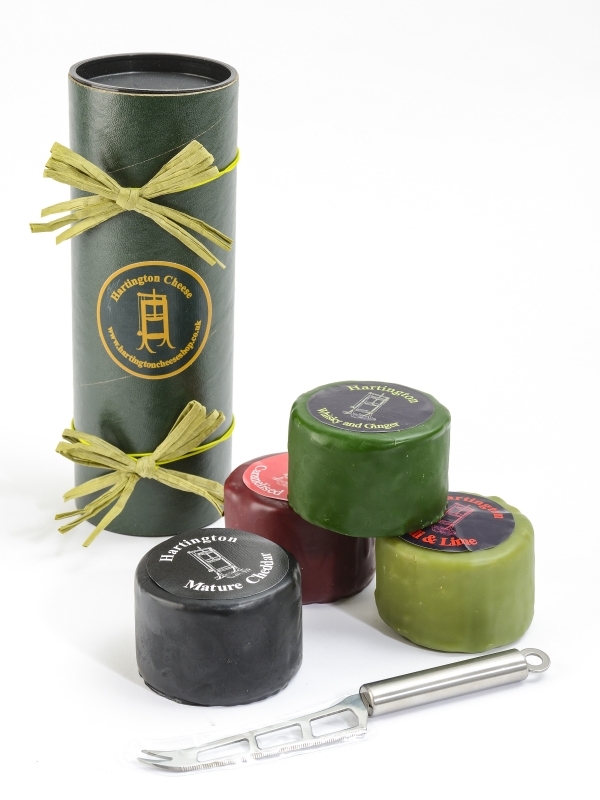 This gift set includes 4 waxed Hartington Truckles of your choice‚ and a free cheese knife (add your preferred choices into the special instructions box at the end of the ordering process). 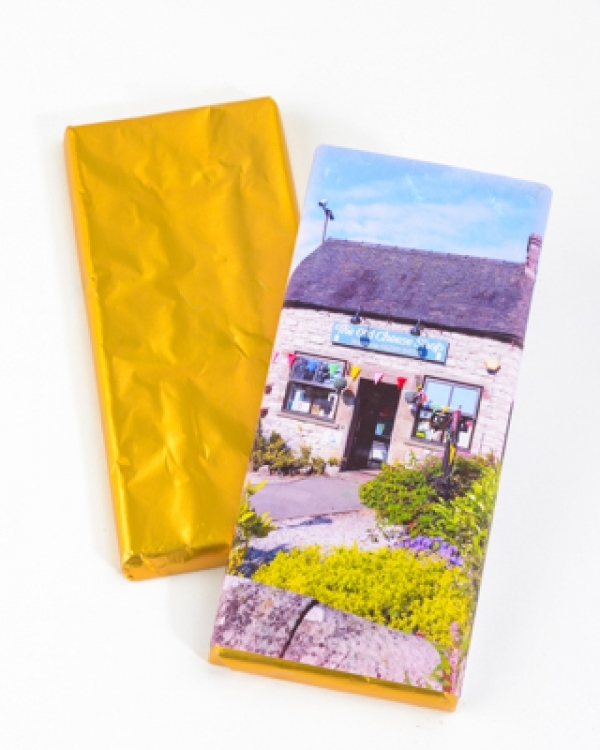 Beautifully designed with decorative bows and The Old Cheese Shop branding. Although this is a gift‚ please remember to keep refrigerated.